The Integrated Marketing and Communications marketing team will be holding several Lunch and Learn training sessions for campus WordPress users. There will be four sessions this summer, including introduction and advanced WordPress, how to use Gravity Forms, and how to make your site search engine friendly. You can find descriptions of the courses below. Registration is required. You can use the button below or this link. Are you the editor of your department or organization’s website? Are you new to making edits or just need a refresher course? Pack a lunch and come to the WordPress 101 training session on Wednesday, June 17, at noon in the Jardine Room. We’ll go through WordPress page editing basics and answer your questions so you can feel confident in making edits to your site. Online forms are an incredibly useful tool that can both streamline your internal processes and create a positive user experience. Don’t send out another paper form until you come to this WordPress training session on online forms using the tool Gravity Forms. This session is only for registered users of a JCU WordPress site. Pack a lunch and join us for this session on Wednesday, July 1, from noon-1 p.m. in the Alumni Lounge on the 3rd floor of Rodman Hall. So you have the basics down but you have specific questions or want to dig a little deeper than just the day-to-day operations of WordPress. 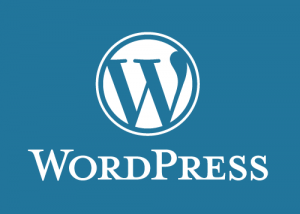 Bring your questions and come ready to enhance your WordPress knowledge. Pack a lunch and come to the Advanced WordPress training session on Wednesday, July 22, at noon in the Jardine Room. SEO stands for “search engine optimization.” It’s the process of getting traffic from the free, organic, editorial, or natural search results on search engines. Learn more about how you can optimize your pages so that they appear at the top of a Google search page. Pack a lunch and come to the Advanced WordPress training session on Tuesday, July 28, at noon in Alumni Lounge on the 3rd floor of Rodman Hall.